Since harvest has been minimal, I wanted to take advantage of every little stalk I could get and decided to make some strawberry rhubarb jam while the strawberries were in season. 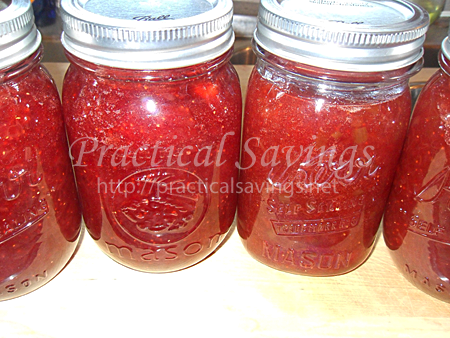 I ended up canning a few jars of just plain strawberry jam after I finished up the strawberry rhubarb. Take your fruit and mash it. You can use frozen strawberries (what I did), just let them thaw before hand. If you use fresh, make sure they are ripe but not overly ripe. You should not can overly ripe foods. 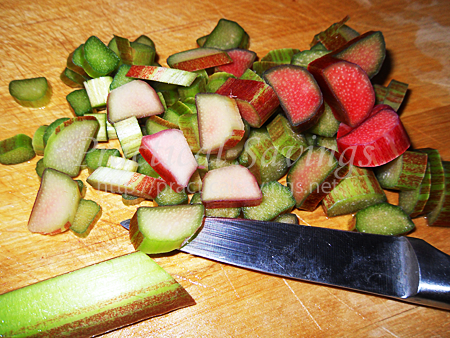 Chop your rhubarb up into small pieces. 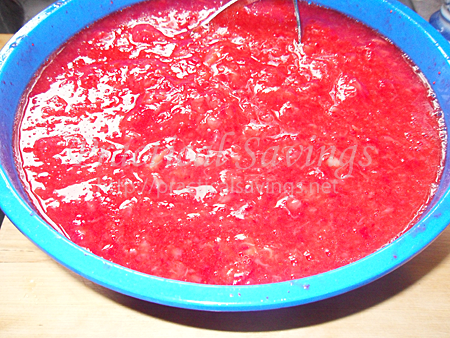 Place rhubarb in a sauce pot with 1/2 cup of water. Bring it to a boil. Reduce heat and cover. 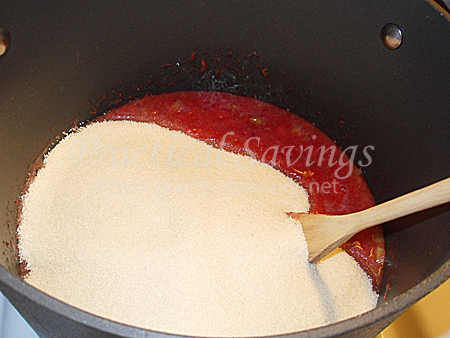 Let it simmer for about 2 minutes or until the rhubarb is soft. 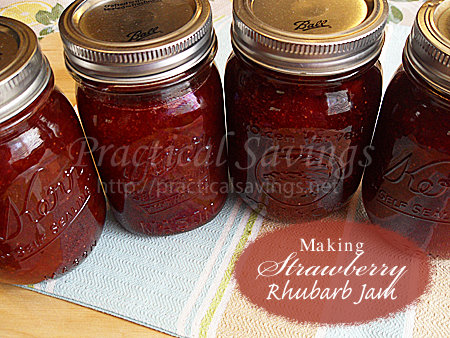 Place crushed strawberries and cooked rhubarb into a large pot. Add your pre-measured sugar. You can add 1/2 teaspoon butter to reduce the foaming but it isn’t necessary. Turn the heat to high and stir, make sure the sugar is dissolving. Bring to a boil. Bring mixture to a rolling boil, one that doesn’t stop when you stir. Stir constantly. Add in pectin quickly. Bring back to a rolling boil and boil for 1 minute while continuing to stir constantly. Skim off any foam. Prepare you water bath and jars. Sanitize the jars and keep them hot while you make the jam. 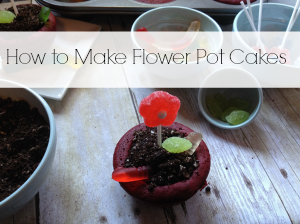 Place lids in another smaller pot with water and bring to a boil/sanitize. Keep hot while you make the jam. If using fresh strawberries, make sure they are not overly ripe. If using frozen strawberries, thaw before using. Crush strawberries and set aside. 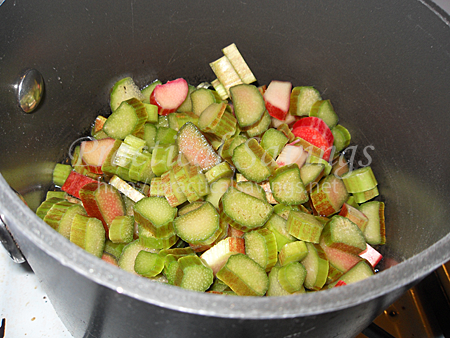 Chop rhubarb up into small pieces and place in a sauce pot with 1/2 cup of water. Bring it to a boil. Reduce heat and cover. 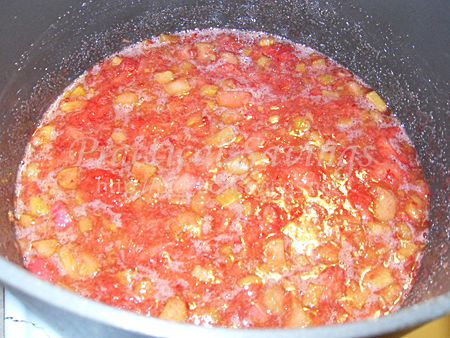 Let it simmer for about 2 minutes or until the rhubarb is soft. Measure sugar into a separate container. It's important to measure exact as not enough sugar can make your jam not set. Turn the heat to high and stir, make sure the sugar is dissolving. Bring mixture to a rolling boil, one that does not stop when you stir. Stir constantly. Add in pectin quickly. 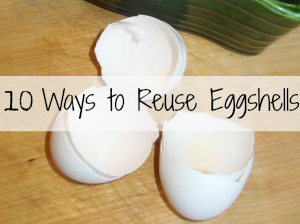 Bring back to a rolling boil and boil for 1 minute while continuing to stir constantly. Turn off heat and skim off any foam from the top. 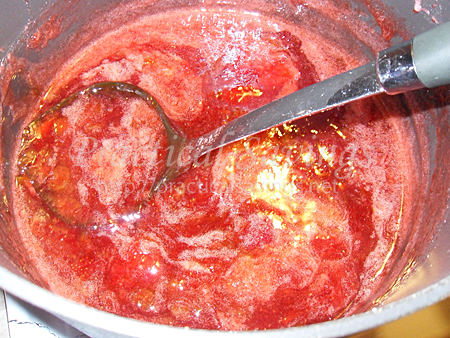 To check and see if the jam will set, take a small spoonful and place on a cooled plate. Let it sit for a few minutes to see if it remains runny or will set up. Ladle jam into prepared jars, leaving about 1/8? headspace. Wipe rims and cover with your lids and bands. Screw bands on tight. Place the jars in your water bath pot, making sure they have 1-2? of water covering them (if not, add some boiling water). Cover and bring to a boil. Process at a boil for 10 minutes. 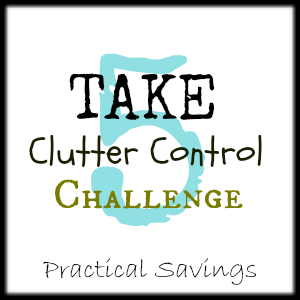 Remove jars and place upright on a towel. Make sure jars have sealed once cooled by pressing on the lid. If it pops back up, it did not seal and needs to be refrigerated. Store sealed jars in a dark, dry, cool location. Enjoy! 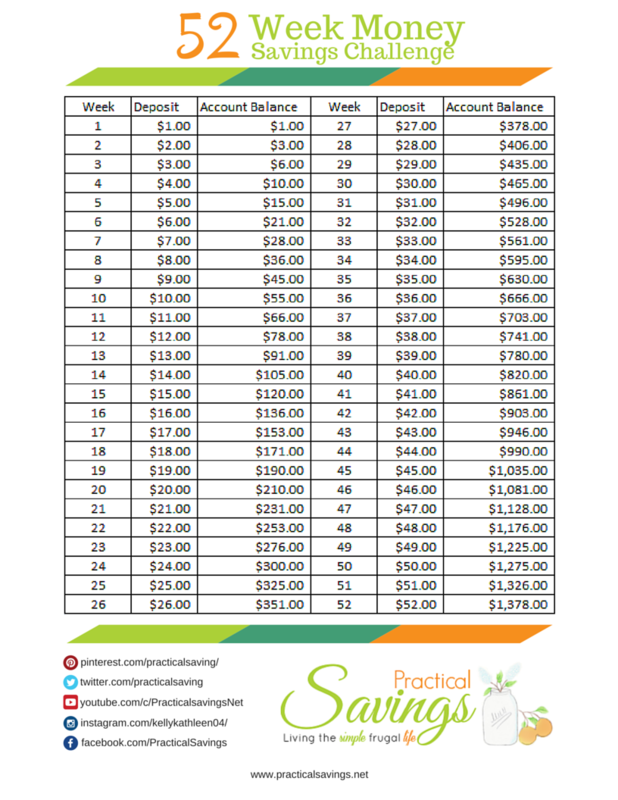 Follow Practical Savings’s board Make Your Own on Pinterest. 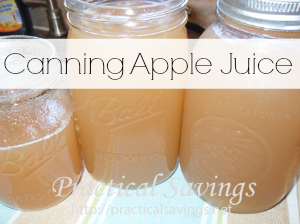 I have always wanted to try canning but I am so scared I will mess something up. My dad just bought a book on canning maybe he will teach me when he learns to can food. How many jars does this make? Just curious on how many jars to prep.